Apple has released iOS 10 / 10.0.1 GM (Golden Master) download links for all supported iPhone, iPad and iPod touch devices, with both IPSW files and OTA update live right now. The release of the GM signifies the final stage of the software development cycle, meaning that we will not be seeing any more iOS 10.0.x releases to developers or public testers prior to the platform actually being made available to the general public on compatible devices. In fact, if history tells us anything, the GM and final release of iOS 10 made available to the public will likely be the exact same builds. 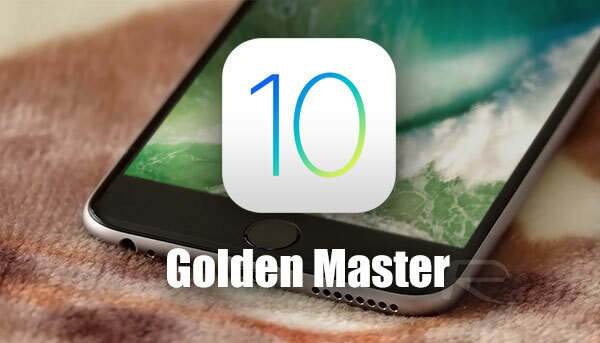 The availability of the Golden Master build of iOS 10 / 10.0.1 follows on from a number of iOS 10 pre-release seeds – eight to be exact – that started being made available to developers immediately after the opening keynote of this year’s Worldwide Developers Conference back in June. iOS 10 is an interesting release for Apple. Tim Cook and company have bundled in enough changes to make this a substantial release, but it would perhaps be an overstretch to believe that Apple actually overhauled the platform significantly to signify an evolution of the iOS platform. Anyone looking to purchase an iPhone 7, or who has an existing device that offers compatibility with iOS 10, will be able to benefit from a bold new interface in certain aspects, such as an improved user-interface within the Music app, or a new, redesigned Maps and Messages experience. Not sure if your iOS device is compatible with iOS 10? Check out the complete list of compatible iPhone, iPad and iPod touch devices here: iOS 10 Compatibility For iPhone, iPad, iPod touch. Messages is one of the most widely used apps within iOS 10, and that experience just got a lot better with iOS 10. 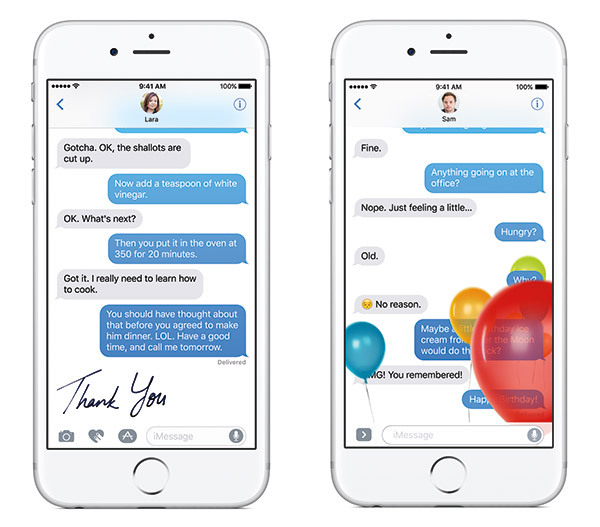 There are new ways to message people thanks to Invisible Ink messages and the ability to annotate images directly. There’s also a much-improved Maps experience that includes the ability to make proactive suggestions and being able to search for points of interests and locations on any defined route. In fact, there’s pretty much a number of notable improvements across the whole system, meaning that iOS 10 should be a pleasure to interact with and use on any compatible device. For a complete list of changes and features in iOS 10, check out our post here: iOS 10 Announced: Features, Release Date And More. Additionally, do check out our hands-on walkthrough video of iOS 10 here: iOS 10 Features: Hands-On Video Walkthrough Of The Biggest Changes On iPhone. iOS 10 / 10.0.1 GM can be downloaded via the usual Software Update mechanism within the Settings app if you’re already running a developer beta of the platform. Developers can also grab the IPSW file directly from developer.apple.com with the required Apple Developer Program credentials and then update or restore to it using iTunes. Full step by step guide on how to download and install iOS 10 / 10.0.1 GM can be found here: Download iOS 10 / 10.0.1 GM & Install On iPhone 6s, 6, Plus, SE, 5s, 5c, 5, iPad, iPod [Tutorial]. Apple will release iOS 10 final version to public worldwide on September 13th. On the public beta program, but don’t see 10.0.1 advertised via OTA. Is there something I need to do to my profile to see it? You have to be Developer status with Apple in order to receive the iOS 10 Gold Master (10.0.1). Public beta testers must wait until the launch of iOS 10 next week. No, it’s showing up for me now (it wasn’t earlier) and I’m a public beta tester. What I want to know is, is it possible to download the ipsw and do a clean install (using iTunes)?